Digitalization of the modern car is progressing at breakneck speed, with research showing that over 70% of cars will ship with a digital display in the cluster by 2017 (Automotive User Interfaces 2014, IHS Automotive, 2014). While digital user interfaces have long been available in the center stack of the vehicle, they are now quickly making their way into the heart of the car’s dashboard — the instrument cluster. However, the migration from traditional, physical instrumentation to the digital Human Machine Interface (HMI) is posing various challenges for auto manufacturers. Here are the top five challenges Rightware is seeing today. With the digital cluster, auto manufacturers must deliver a user experience that makes consumers insist on having a digital cluster and makes them think they could never live without one. The car companies need to increase their investment in digital user experience design in order to provide consumers with a digital driving experience they’ll love. User experience is all about... the user! With the help of target group research, auto manufacturers need to find the key use cases and features for different buyer profiles. While more senior buyers appreciate a digital design featuring traditional big gauges and needles combined with maps in the middle, millennials long for a cluster that connects them with their personal data at the right time, while having a modern look and feel with a real wow effect. Performance — Choosing the right OS, System-on-a-Chip (SoC), etc. Automotive user interface designers need to learn to work with the capabilities of the hardware and software platform of the cluster in mind. Designers need to create user experiences that strengthen the auto manufacturer’s brand image while still being possible to implement with the chosen tool chain and hardware and software platforms. Choosing the SoC that can deliver the best user experience at the best price is essential. While proper automotive SoC benchmarking tools are not yet available in the market, auto manufacturers need to invest in their own measurements and trials for finding the right cost/performance level of the SoC for their project. Consumers have become accustomed to having access to the latest technology and innovations on their mobile devices. That expectation has now extended to HMIs in the car. To meet consumer expectations, the automotive industry must shorten the development time of new vehicles and determine how to provide compelling software upgrades during the car’s lifecycle. Digital clusters need to be designed for upgradeability from the ground up. Through upgrades, the cluster should provide the necessary access to new app platforms and innovations. Streamlining the software development process and choosing the right tool chain for HMI development is key to creating HMIs faster and with more valuable features. Consumers utilize their mobile devices daily and have learned to expect a constant update cycle that brings new features and enhancements to their device. This “update drug” has created a trend where the customer is waiting for the next update to their beloved devices — a customer that is always looking for more. Until today, there have been few tangible software upgrades for a car during its lifetime. As an example, when you pick up your car from service, you’ll often see a line on the bill that says “software updates.” Leaving the garage, you can discern no difference in how the car behaves. Auto manufacturers need a plan for providing consumers with constant software upgrades that give them value during the entire lifecycle of their vehicle. Upgrading the digital cluster doesn’t have to mean that it should look like next year’s model, but the upgrade should provide consumers with either features that add value or a clear, visual difference that they understand is an upgrade. Increasing the upgradeability of HMIs in the car will be a major opportunity for improving customer retention. As automotive devices evolve into the digital age, they will also transform the way auto manufacturers create designs for their customers. Unlike a mobile device, HMI design will be specific not only to the manufacturer’s brand, but also to that model. Digital screens will give automotive UI designers the flexibility to create unique designs, and they will need full control of the UI framework to be able to deliver these stunning user experiences. Consumers are increasingly connected 24/7 to ecosystems from companies such as Google and Apple. Due to the increase in consumer demand, these technologies are also making their way into the car cockpit in various forms — from simple content integration (SMS, mail, media) to sandboxed but comprehensive solutions like Apple CarPlay and Android Auto. Automotive companies must invest in creating branded digital user experiences that can rival and exceed any third-party designs in the vehicle. They should invest in a UI solution and operating system that can deliver the design as intended. Visit Rightware at TU-Automotive Detroit (booth #C115) to witness next-generation HMI demos built with Kanzi and a first chance to see a brand new Kanzi product. You’ll also find Rightware’s technology in the QNX booth (#C92). 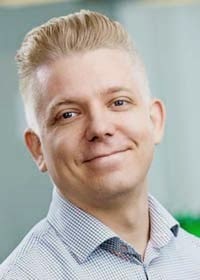 Olli Laiho has been working in software development for over 15 years. An avid car enthusiast, Olli heads Rightware’s global marketing activities. 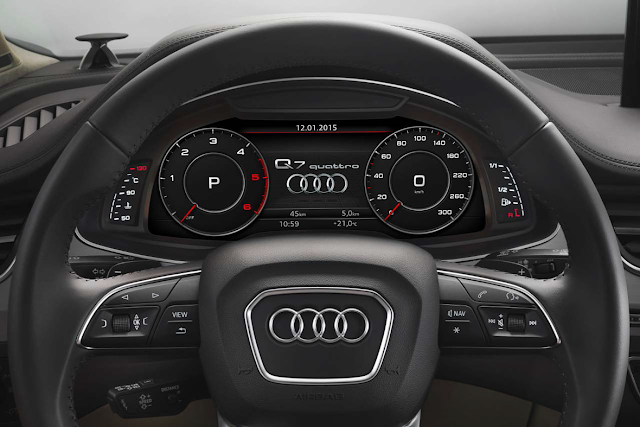 The Rightware Kanzi UI Solution and the QNX Neutrino OS can already be found together in several vehicles, including the Audi TT, Audi Q7, and the Audi R8. Rightware has created several digital clusters for QNX technology concept cars, including the 2014 Mercedes CLA 45 and the 2015 Maserati Quattroporte.